No camping trip is complete without roasting marshmallows around the fire and building an ooey gooey s'more. Since this campfire treat is only enjoyed on occasion, it's best to have an arsenal of dessert recipes featuring the irresistible combination of chocolate, graham cracker and marshmallow. These five s'mores inspired treats will satisfy your craving for this trio. 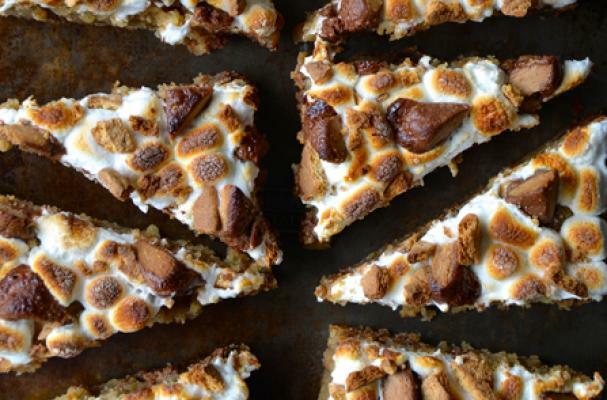 S'mores cake is a dessert version of lasagna. Decadent chocolate pudding is layered with marshmallow fluff and graham cracker crumbs. It's topped with toasted marshmallows. The best thing about this dessert is that it can be made in advance and hang out in the fridge until your ready to serve. 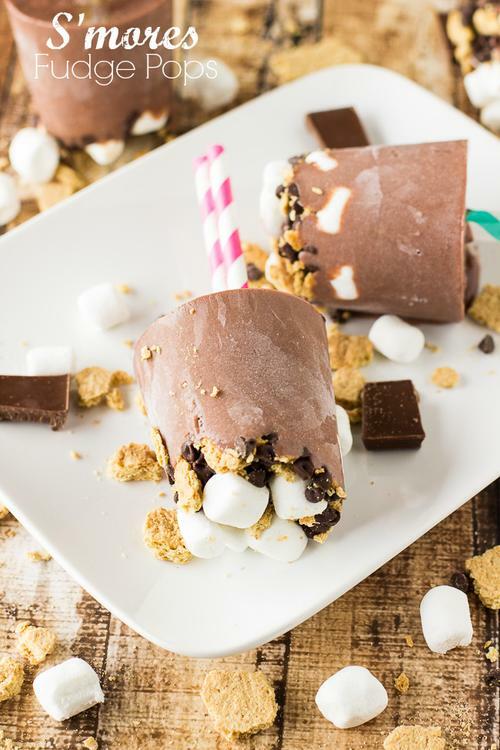 If you're a fan of the fudgesicle, you're going to love these s'mores pops. This frozen treat is made in paper dixie cups so you don't have to worry about purchasing a special ice pop mold. Yellow cake crumbs are mashed with marshmallow fluff to create these s'mores cake pops. The pops are dipped in chocolate and dusted with honey graham cracker cereal crumbs for the finishing touch. Chocolate chip cookie dough is studded with miniature bars of Hershey's chocolate and mini marshmallows to turn this classic cookie into something special. You can make a double batch of this cookie dough and save half to enjoy a treat on another day. Toasted marshmallows, creamy chocolate peanut butter candy and crunchy graham crackers are a heavenly combinations. These bars are a guaranteed pleaser and a snap to make.